Gearing up for the ski season? 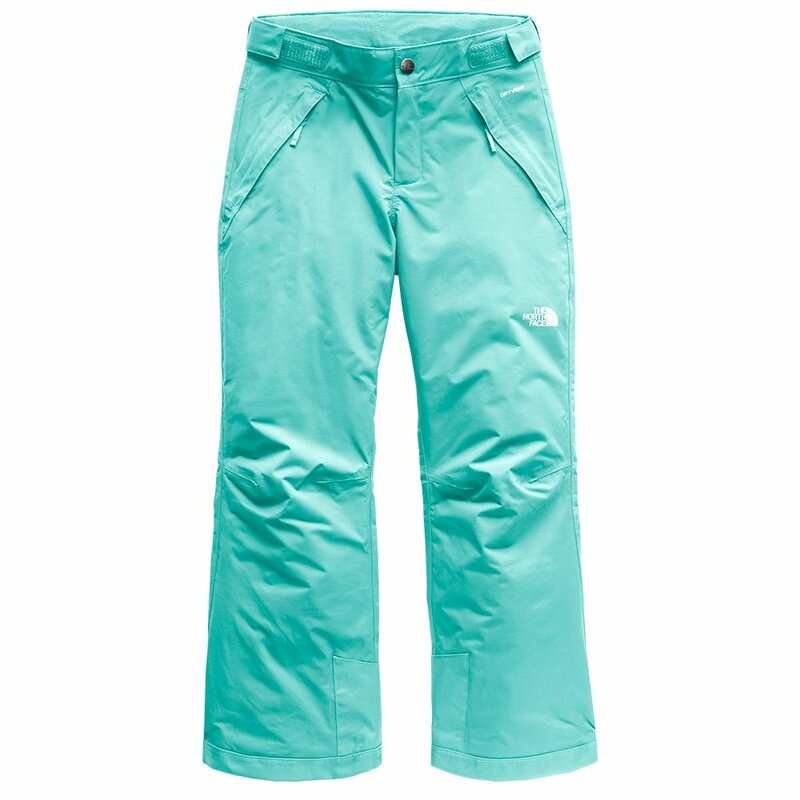 For outerwear, look to The North Face Girls' Freedom Insulated Pant. Low-profile warmth, weather protection and ease of movement are yours with this all-purpose alpine layer, available in a fun array of kid-right colors and prints. Fully lined and insulated with 60g Heatseeker™ fill, these ski pants have durable micro-dobby shell construction with DryVent™ technology to keep you dry and ventilated. They adjust at the waist, and around the cuffs, they're reinforced and have an inner ankle gaiter that clamps around your boots. Another really cool feature is EZ Grow--allowing the hem and liner to extend up to 2", great for accommodating growing bodies. Waterproof, breathable DryVent™ shell keeps you dry and comfortable. EZ Grow leg feature extends hem up to 2"
"I wear an 8 petite on women's. Do you think an XL will fit?" "Please refer to the North Face GIRL'S SIZE CHART for accurate measurements on waist, hips and inseam. Hope this information helps!"